The attractive pink color is the best part. 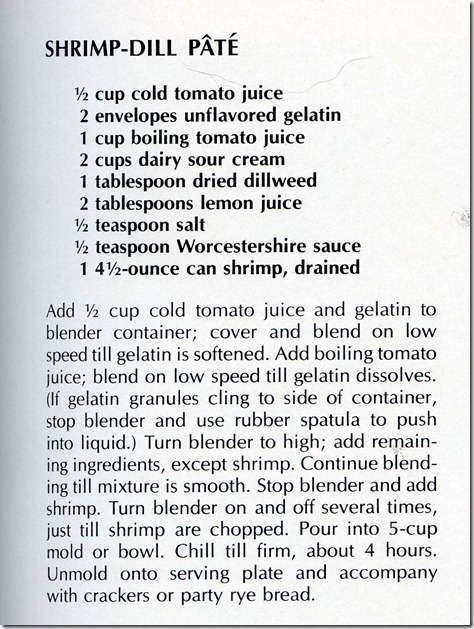 From Better Homes & Gardens Fish and Seafood Cookbook, 1971. Ha ha! 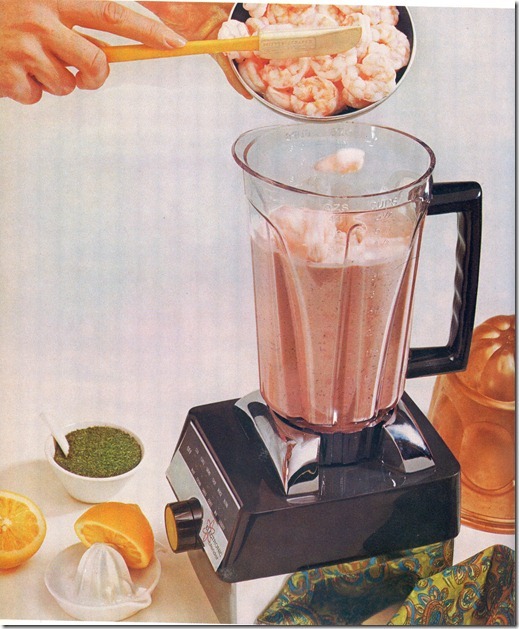 That’s just slightly more disgusting as what is really happening in this photo! 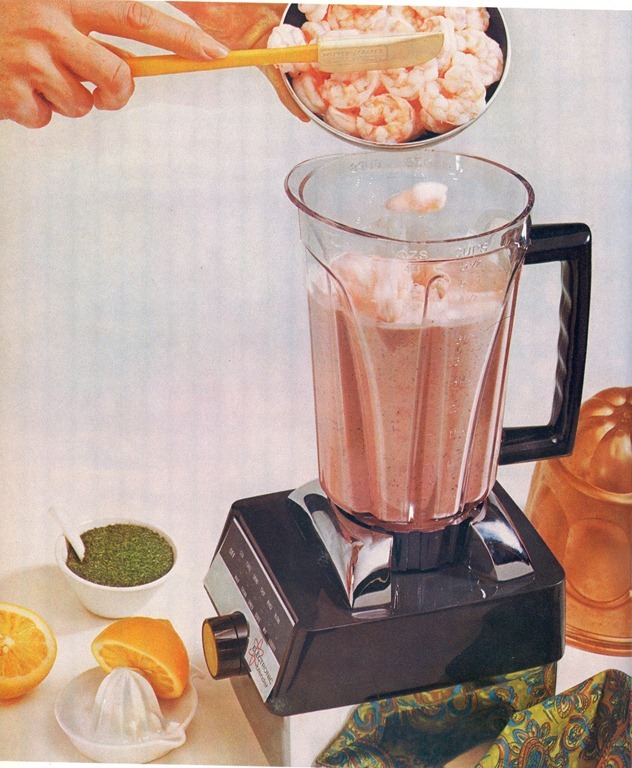 Yeah let me just go buy some shrimp so I can put them in a blender with jello. 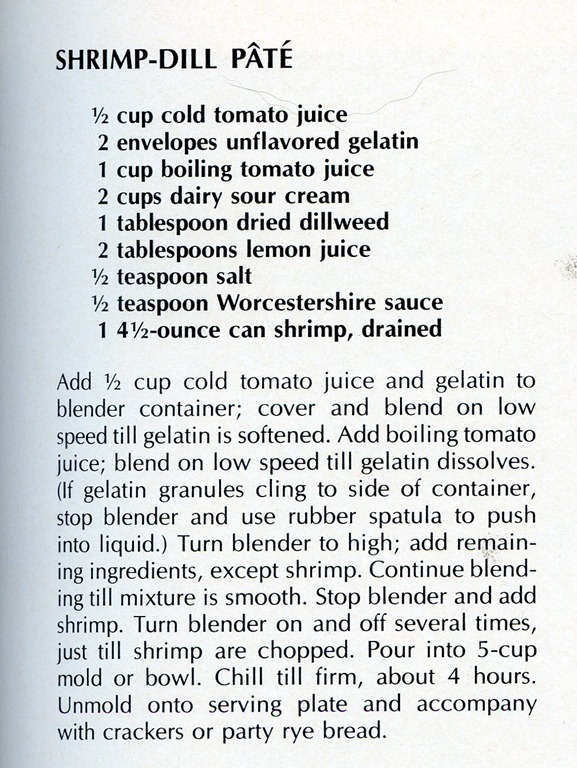 I’m legitimately surprised they don’t skip the lemon juice and just go for lemon-flavored gelatine. I know, sounds like a good idea, right? Not a waste of money AT ALL!